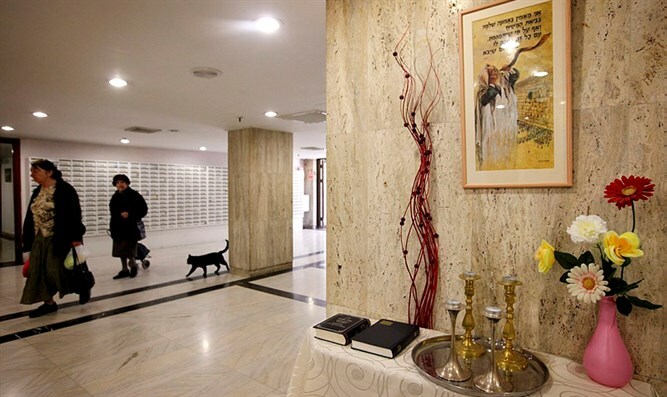 MainAll NewsInside IsraelUS embassy preparing to move to Jerusalem hotel? US embassy preparing to move to Jerusalem hotel? Hotel sold to US gov't in 2014 notifies residents they'll be required to leave within 2 years. Site eyed as possible location for embassy. Is the US embassy in Israel planning on moving to a Jerusalem hotel in 2020? Since President Donald Trump’s December 6th announcement that the US recognizes Jerusalem as Israel’s capital and that the State Department had begun work to relocate the US embassy from Tel Aviv to Jerusalem, no timetable has been set for the move, and State Department officials have given mixed signals regarding the timeframe for the relocation. Now, however, there may be the first concrete signs of progress towards the embassy move – and even evidence of the likely location for the new embassy. According to Zionist Union MK Ksenia Svetlova, the residents of the Diplomat Hotel in Jerusalem have been informed that their two-year lease will not be renewed, and that they will be required to vacate the building in the next two years. The hotel, located in the Talpiot neighborhood in southeastern Jerusalem, is adjacent to the US consulate building, and was purchased by the US government in 2014. For years, the Diplomat Hotel has housed elderly immigrants, mostly from the former Soviet Union, and is still home to some 500 immigrants over retirement age. After the initial announcement of the plans to purchase the site in 2014, the US government is apparently preparing to take possession of the building. Speaking at a Knesset Immigration and Absorption Committee hearing, Svetlova said that while residents had in the past had their leases extended with no strings attached, they are now being required to agree to vacate the building by 2020. Svetlova called for the hearing to help find alternative housing for the elderly residents, but her comments also hinted at the possible selection of the site by the US government for its new Jerusalem embassy. Committee chairman Avraham Neguise (Likud) explicitly linked the deadline for residents of the hotel to vacate with President Trump’s planned embassy move. The MKs’ comments appear to confirm a report by Channel 2 earlier this month that following President Trump’s decision to relocate the embassy, the State Department has been looking into the possibility of using the Diplomat Hotel to expand the nearby consulate facility into a full-fledged embassy. The current US embassy in Tel Aviv houses roughly 1,000 employees. The American consular facilities in Jerusalem would likely need to be expanded significantly to accommodate all of the embassy’s operations.